» SAP Personas – silver bullet for UI simplification? SAP Personas – silver bullet for UI simplification? 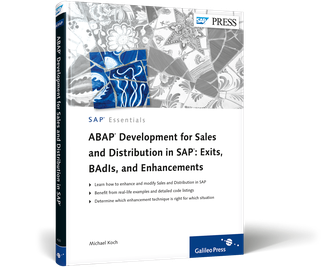 Believe it or not, even a seasoned SAP Development Consultant like me has more than a handful of dreams left when he sits by his ABAP campfire in the evening. One of my many thoughts has always been around making the user interface (UI) of traditional SAP applications simpler. This process is often described as “Screen Simplification”. Over the last 15 years or so, SAP has been working very hard to provide tooling to make a certain level of personalisation easier. Personalisation, Transaction Variants, GuiXT, Screen Exits, Screen Enhancement BAdIs and –in more recent years- the ill-named Floorplan Manager (FPM) were one of the vast number of attempts by SAP to make the building process of friendly user interfaces simpler and easier. Seasoned consultants know that these tools can only achieve so much. True simplification very often means you have to “dig deeper” using traditional ABAP. If the desired solution is even to look non-SAPish then it might also require changing the development platform entirely and utilising the cumbersome Composition Environment or newer paradigms such as Netweaver Gateway or Netweaver Cloud. Think that’s plenty to choose from? Think again and say Hi to Personas, SAP’s new kid on the UI Simplification block. At first glance, Personas appears to be another groove in SAP’s already large UI revolver. However during last week’s Mentor webinar the presenters Denis Browne, Tobias Queck and Peter Spielvogel made it very clear that “Personas is not part of the SAP’s standard UI offerings”, but rather a “repeatable custom solution”. This means that in the future individual SAP customers can decide whether they would like to deploy Personas or not – once they have paid the additional licence, obviously. Personas was developed in collaboration with SAP customers, who obviously reap the benefits of it first. Personas is a tool that enables customers to build simpler, browser-based SAP UI screens, originating from traditional, often-cursed SAP transactions. Users can create personalised copies of SAP screens by dragging and dropping fields and buttons into a new screen and then save it as a browser UI template for themselves. Examples we were shown during the webinar were based on simple use cases such as entry menus and entry screens. However the real power of Personas will be revealed once the creation of a sales or purchase orders is demonstrated. Users can create screens and include wallpapers, which helps in terms of appeal. In addition, they can share templates with other users and allow to bring in third party content such as search engines. Whilst I can’t see the latter options as highly relevant to SAP customers, they do not hurt either. Technically, Personas is based on a technology from the last century called ITS (Internet Transaction Server). In recent years, ITS has undergone some modernisations and was directly incorporated into the Neatweaver AS. For Personas, ITS will deliver the screen GUI object layer information, which is then rendered by Silverlight for the browser. Usage of Silverlight here comes at quite a surprise, given the fact that Microsoft themselves will not develop this proprietary UI technology any further. Silverlight never really made a breakthrough at most SAP customers sites I have visited and Microsoft themselves dropping it will not alter this. Overall, the usage of Silverlight is likely put a dampener on the adoption of Personas. However I am sure that future versions will rectify this by utilising a different UI technology such as HTML5. Personas (which is not the finalised name for this product yet, by the way) could prove to be a valid response to customer pain points in terms of getting users without SAP knowledge onboard and logged on. As pointed out in the first part of this blog post, there are already a number of ways to simplify SAP UIs. Personas adds another facet here. A customer trial or sandbox system would obviously be a great way to demo this to customers, but the custom development route chosen does not allow this at this point in time, which is a slight disappointment. This simplification technology will still put a lot of admin effort on the already stacked up plate of IT departments, who will have to deal with life cycling, template groups, training et al. In addition, Personas’ very core principle suggests that SAP customers are willing to switch to a (potentially slower) SAP UI technology in the browser, which is likely to filter some potential customers out. In my view, a true simplification technology for good-old SAP GUI for Windows would be a much bigger winner, but currently there’s no time on SAP’s high-speed train to “Innovation Central” for anything like this. Despite being a mixed bag, Personas is a move in the right direction. Usage of Silverlight will prove to be the biggest drawback. Important features such as messaging and lifecycling using SAP’s own transport system are provided, which is a plus from a development and admin perspective. Whether customers are willing to switch parts of their user base to a WebUI-like experience remains to be seen. However I was impressed by the “lightweightness” of the solution from a system architectural perspective (leaving the utilisation of Silverlight aside for a moment). In my view, an interesting product to keep an eye on. I am going to take the opportunity to speak to Personas development team and customers who currently use it during my upcoming visit at SAP TechEd Las Vegas to get an even closer view at this product. Watch this space. This entry was posted in ABAP and tagged GUI, Personas, Silverlight, UI. Bookmark the permalink. So, Silverlight, eh? That makes it an entirely non-mobile technology (well, apart from Windows Phone, perhaps?). As this is all about making simpler, more friendly interfaces to SAP, it seems an obvious thing to be able to make work on both mobile and non-mobile platforms. Or am I misunderstanding? Let’s hope the a move to something other that Silverlight does indeed happen, and soon. For now, Personas is purely regarded as desktop browser solution , but Microsoft’s commitment with regards to Silverlight is also waning in this sector, mentioning that HTML5 “covers more” scenarios. You are absolutely right to mention the mobile side though and it’s something to look out for. I guess application complexity and compatibility were seen as too high an obstacle for this first version. Maybe it would be a good idea to offer the ITS layer as API and let partners/customers build simplifications on top of this? There are many avenues where this could go in the future. As I pointed out, I do hope SAP will develop this further, as it is interesting from an architectural perspective. Licencing is, as usual, a sore point. Especially when you consider that easy simplification is something customers have been looking for in years for local installed GUIs, not just for browser. In addition, ITS is part of all installations anyway, which should be reflected in the price. My goodness me, ITS and Silverlight, what a combination! In all seriousness though, much maligned as ITS is … for the purpose of what Personas is to achieve, it does indeed offer a programmable layer on top of existing dynpros, and who’d have thought that this key feature (inherent in ITS’s design) may be its legacy? On the other hand, another (already) ‘old’ technology Silverlight triggers thoughts of a different kind in my mind. As long as Silverlight is part of the solution, I can’t take Personas seriously and would *never* be able to recommend it to any customer. As a concept though, the idea is very interesting, and your thoughts about replacing Silverlight with something more appropriate (HTML5) are spot on. I probably wouldn’t go as far as saying that I could NEVER recommend it to any customer, because requirements, tastes and standards are so different in “SAP Land”. After all, there are customers who developed it in collaboration with SAP. My gut feel is that SAP will probably change its ways and introduce some other rendering UI (or even API it). My name is Michael Koch, SAP Solution Architect, Mentor and SAP Press Author. This is my company profile and site. Looking for my the blog musings about electric vehicles and transportation? Follow this link to Pixelbase Electric ! Pixelbase provides services in SAP Development Consulting and is based near Rugby, Midlands, United Kingdom. Working in IT since 1990, Pixelbase has been involved in the SAP arena since 1997. During this time we worked in multiple industries including Automotive, FMCG, Entertainment, Insurance, Telecoms and High Tech. Our main areas of expertise are SAP Web Development (ITS, BSP, WebDynpro for ABAP), custom SAP Development (ABAP and ABAP OO), RIA (Adobe Flex), Interfaces (ALE, IDOCS, XML), SAP CRM development and Data Migration. Please get in touch regarding availability and consultancy rates.